The newly renovated 50,000 sq.ft. 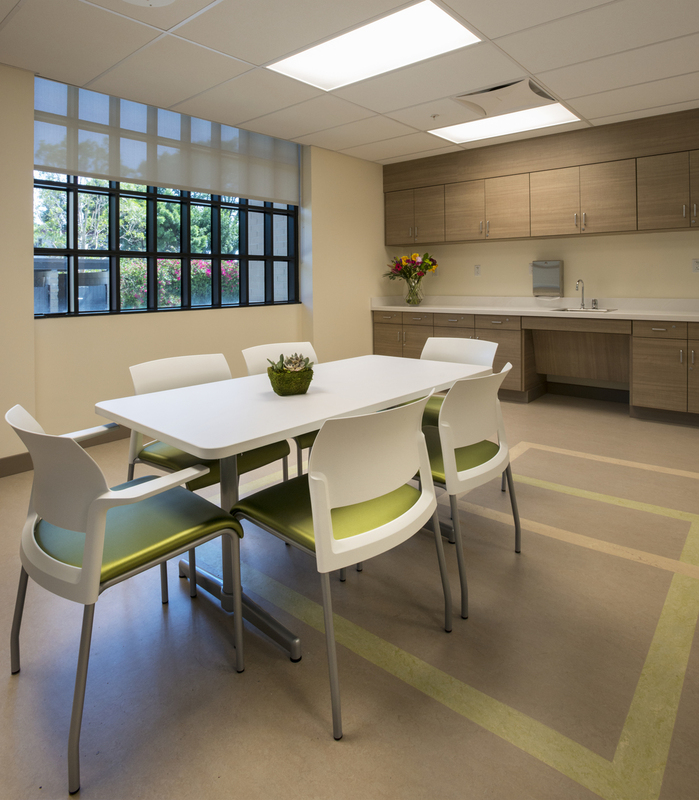 Kaiser Cerritos Medical Office Building supports the outreach of Kaiser to citizens in Los Angeles and Northern Orange County. 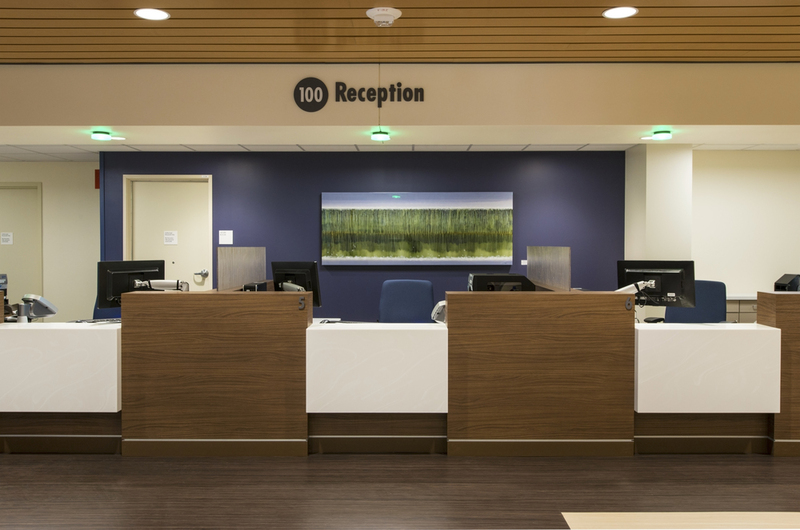 Incorporating Kaiser's "branding" and sustainability guidelines, Pickett Designs uses natural and organic colors and materials to create a contemporary and functional environment without compromising comfort for patients and staff. 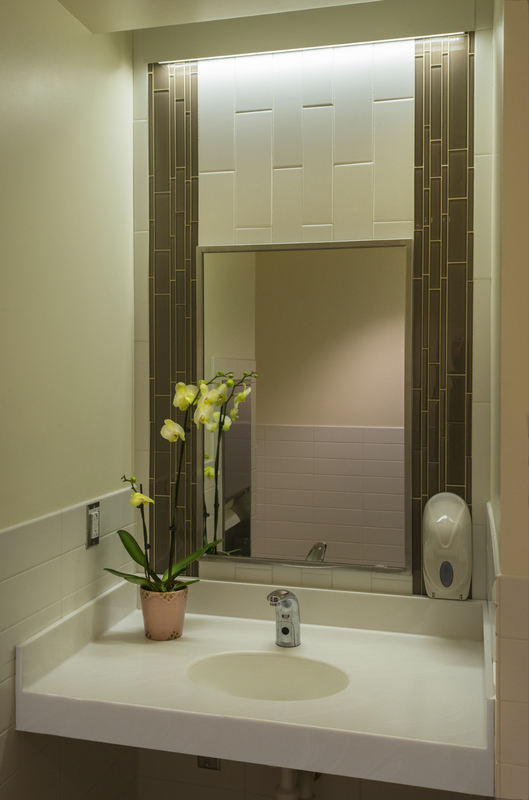 Decorative glass is used to create unique entrances to waiting areas, Pharmacy, and also adds daylighting into interior work areas. 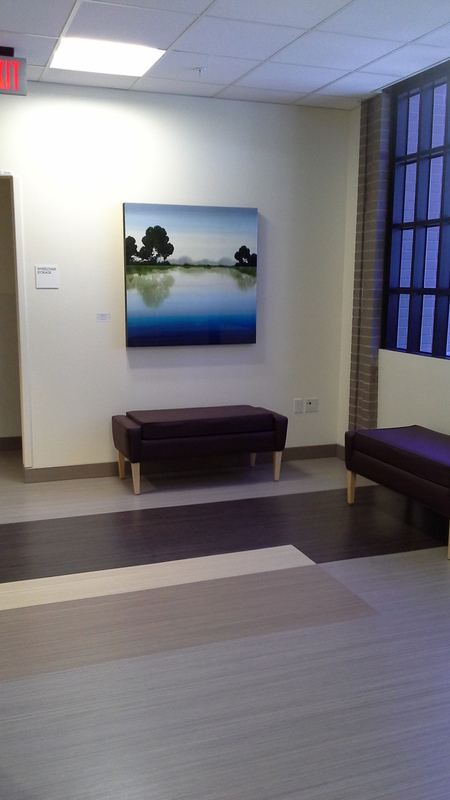 Woodgrain patterned flooring throughout the facility adds richness/warmth and ease of maintenance. The furniture package completes the building with items that are durable, comfortable and asthectically pleasing. Artwork positioned at key locations throughout the building provides positive wayfinding and visual interest, with several pieces created by a renowned local artist.